October saw more government jobs come on locally, but fewer Kitsap residents working overall. Kitsap County’s unemployment rate — which includes Kitsap residents working in and outside the county — ticked up by 1 percent from September to October, landing at 6.2 percent. The jump was due to two factors, according to a preliminary jobs report released by the Employment Security Department last week . First, about 560 fewer Kitsap residents had jobs in October than in September (see chart below). Second, the county’s labor force (the total number of people with jobs or actively looking for work) grew by 550. Owners of Bainbridge Island’s Café Nola are branching out to High School Road, opening a restaurant in a space formerly occupied by Island Grill. The new Plate & Pint restaurant is expected to open next spring, according to a news release. It will be a family-friendly eatery and sports bar. The 3,000-square-foot interior of the old Island Grill will be renovated, and outdoor seating will be added, according to the release. Café Nola co-owner Whitey Warren said Island Village location offers a place amid Bainbridge’s busy commercial hub. “We’ve been eyeing the Island Grill for some time, thinking it was a great location for our new concept,” Warren said in the release. The Plate & Pint will replace a less-than-family-friendly sports bar. The Island Grill featured a popular bar and an Asian-fusion menu. The grill was beloved by its regulars but also the inspiration for some pretty hair-raising Yelp reviews. Café Nola is a European-style bistro that’s earned a strong reputation over the past 15 years, while holding down prime real estate at the corner of Winslow Way and Madison Avenue. The creation of the new restaurant is part of an overall effort to reinvigorate the Island Village shopping center, which also includes Safeway and Rite Aid. Seattle-based Urban Renaissance Group bought the development with another partner in 2012 and has added a Starbucks, Westside Pizza, Verizon Wireless and Hildebrand Cleaners, while generally sprucing up the grounds. As the Super Bowl of retail kicks off on Friday, protestors will turn out to Kitsap Walmart locations in support of workers. 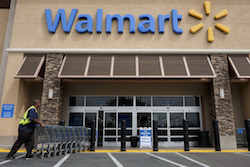 Protests are planned at Bremerton, Poulsbo and Port Orchard Walmarts Friday, according to a news release from union UFCW 21. Port Orchard’s Bethel corridor is fast becoming Kitsap’s marijuana retail hub. The Liquor Control Board approved recreational pot shop Greenway for 4851 Geiger Road SE, just west of the intersection of Bethel Road and Sedgwick Road. It joins Crockpot and 420 Spot Shop in the Bethel corridor, and HWY 420 in Bremerton. Greenway placed seventh in a lottery held by the state this spring to determine which retail applicants would be first in line for licenses. In other I-502 news, a marijuana testing laboratory, the first in West Sound, was approved for Poulsbo’s Viking Avenue earlier this year. Testing labs are critical because all recreational marijuana must be analyzed for THC content and other properties before it hits store shelves. Only 13 labs have been approved statewide. This year is shaping up to the best ever for retail trade sales in Kitsap County. Traditional retailers (shops, dealerships, etc.) recorded more taxable sales in the second quarter of 2014 than they did over the same period in 2006 or 2007, before the recession slide began. Sales in the first quarter of 2014 also topped pre-recession levels. Combined retail trade sales in the first half of 2014 were about 2 percent higher than in 2007. The county nearly bested pre-recession sales records in 2013, but came up just short. Sales in the second quarter of 2014 improved by 5.9 percent from the same period in 2013. 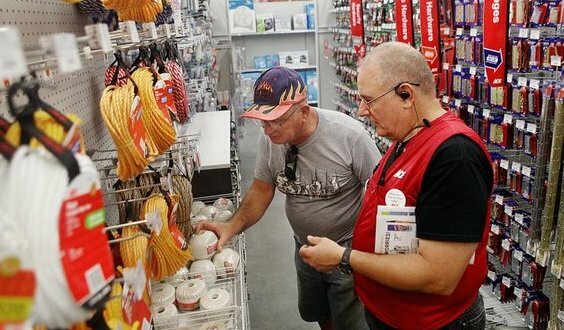 Growth in retail trade sales were on par with the state as a whole, which posted a 5.4 percent increase over the same period, according to the Department of Revenue. This chart compares Kitsap retail trade sales by quarter for 2014 with 2007 (the pre-recession high) and 2009 (the rocky bottom of the recession). The picture is still positive but a little less bright when you factor in sales made in industries outside traditional retail. Sales in fields like construction, hospitality and manufacturing are growing, but they haven’t caught up with pre-recession levels yet. Those industries outside traditional retail posted 5 percent higher sales in the second quarter of 2014 than in 2013. The cupcake craze is supposed to be over, right? Baker Trisha O’Meara isn’t buying it. 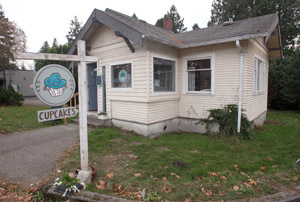 O’Meara just opened her cupcake shop, Goody Cottage, in a little house in Kitsap Lake Junction, across the street from the Red Apple grocery store. She transplanted the business from Southern California, where she first started selling cupcakes out of a converted ice cream van. O’Meara bakes cupcakes in a few dozen different flavors, and whips up batches of Parisian macarons (not to be confused with macaroons), gourmet cookies, breakfast muffins, and tres leches cakes served in Ball jars. She plans to keep store hours Tuesday through Saturday at 6715 Kitsap Way. Orders can be placed seven days a week for curbside pickup. Goody Cottage can be reached at 760-672-6405, and found on Facebook and on Yelp. Shop hours were updated in this post. The Washington health insurance exchange website was back up and running Sunday morning. Exchange staff took down the Healthplanfinder website hours after the launch of the open enrollment period Saturday, when it was discovered tax credits were being incorrectly calculated. At 8 a.m., Washington Healthplanfinder was open, available and correctly receiving 2015 tax credit information from the state’s Department of Social and Health Services (DSHS) eligibility service. Soon after opening yesterday morning, our quality control team saw that the 2015 tax credit amounts coming from the state’s eligibility system were incorrect. In order to protect consumers from submitting incorrect applications, the Exchange took Washington Healthplanfinder offline to resolve the issue. The Exchange worked with its system partner DSHS to identify the tax credit issue, implement the necessary fix and test the system throughout the evening to ensure it was resolved. The Exchange’s new system and application monitoring processes allowed us to quickly identify this issue. The speed in recognizing that Washington Healthplanfinder was receiving incorrect tax credit data prevented thousands of consumers from running into issues with their applications. We have identified fewer than 800 customers who had their eligibility determined incorrectly and less than 150 hundred customers who scheduled payment. We will be contacting each person to provide them with their accurate tax credit amount. The Kitsap business community will mark Global Entrepreneurship Week with a lineup of forums and workshops. Events begin Monday and wrap up Friday. You can see the schedule below and find more detailed information at the Kitsap Economic Development Alliance website. Pending and closed homes sales activity remained brisk in Kitsap County in October, following September’s burst of activity. Both pending sales (429) and closed sales (378) were up roughly 15 percent in October, compared with the same period in 2013, according to the Northwest Multiple Listing Service.